This Grilled Lemony Dill Potato Salad is an easy, mayo free alternative to traditional potato salads! 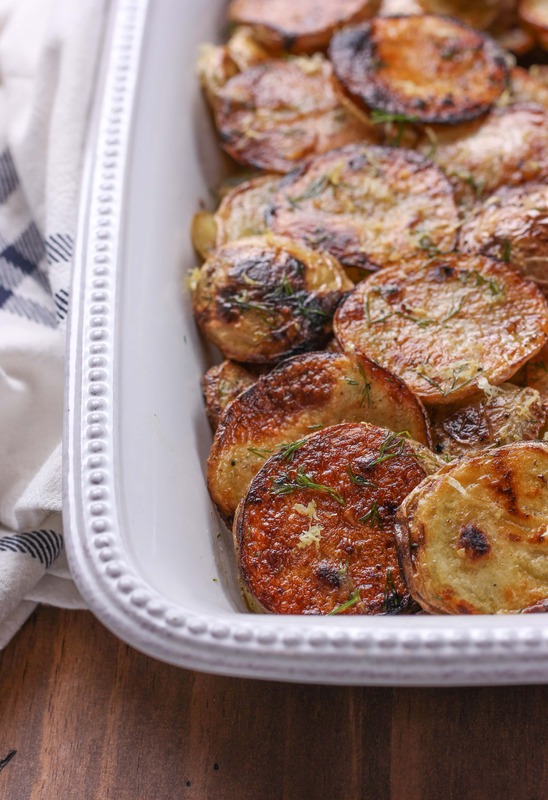 With lots of fresh dill and the bright flavor of fresh lemon, this side dish is a flavorful addition to your favorite meals! I don’t know about you, but we’ve had unseasonably warm weather here in MN lately. 70’s and sunny in the middle of October? I’ll take it, especially since snowflakes are appearing in the weather forecast soon! We’ve been soaking in as much of the nice weather as possible, hiking, going for long bike rides, and grilling. Though we grill almost all year round, it’s nice to be able to not freeze while you’re outside grilling! This grilled lemony dill potato salad was a recent addition to our grilled meals, and we love it. With lots of fresh lemon and dill, this potato salad is a delicious (and easy!) alternative to your traditional potato salads! We usually have at least one variety of potato in our pantry. They’re an inexpensive food to keep on hand and pair well with so many flavors. You can use them in a side dish for just about any meal or turn them into a main dish! These yellow potatoes are sliced thin, seasoned with salt, pepper, garlic powder, and onion powder, and grilled until nice and golden. 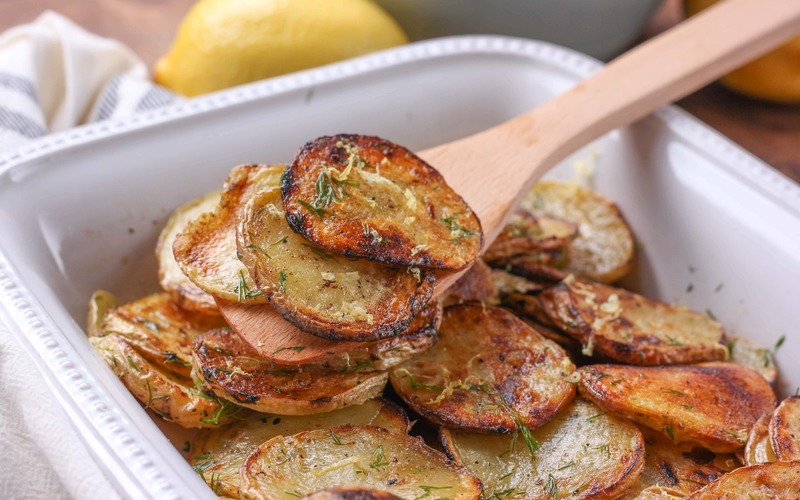 A simple dressing of olive oil, lemon juice, fresh lemon zest and dill, and a pinch of salt is drizzled over the top of the grilled potatoes. Toss to coat and top with additional fresh lemon zest right before serving. Easy, flavorful, inexpensive, and a great way to hang onto these last few warm days of autumn! Learn more about potatoes and get recipe inspiration by checking out the Potato Goodness Facebook page! 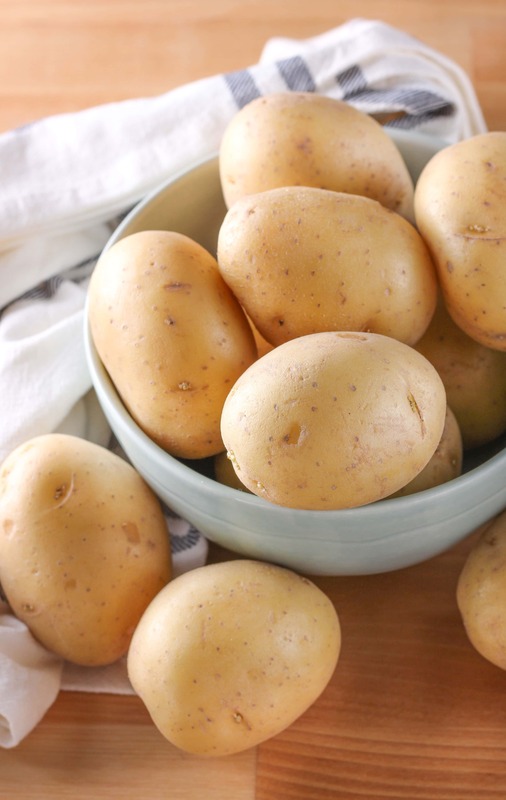 In a large bowl, toss potatoes with olive oil, salt, black pepper, garlic powder, and onion powder. Place in a large grill basket (flat bottomed works best) or grill pan. And place the grill basket in preheated grill. Grill for 8-10 minutes, or until bottom sides of potatoes start to brown. Carefully stir potatoes to flip sides. Grill for an additional 8-10 minutes, or until golden and tender. Remove from heat. While potatoes are grilling, prepare dressing. In a large heat-safe bowl, whisk together olive oil, fresh dill, lemon juice. lemon zest, and salt. 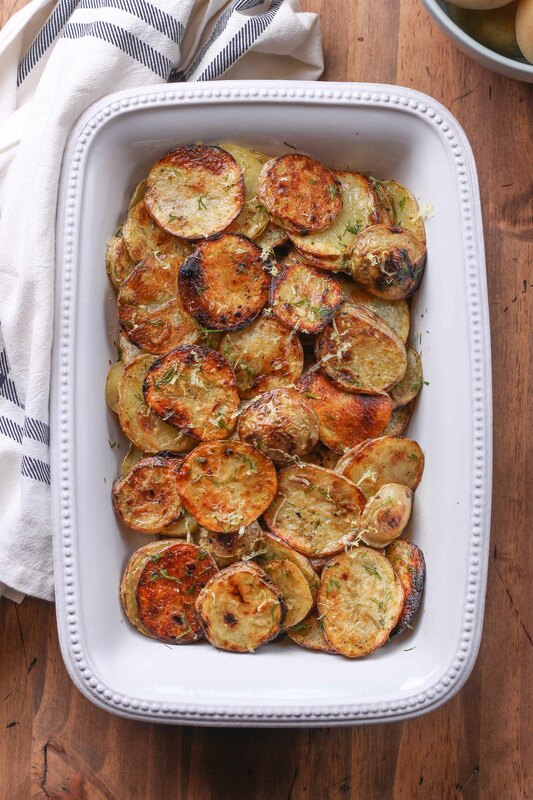 Add grilled potatoes to dressing and gently toss to coat. Top with additional lemon zest, optional. I have not yet met the potato I would not eat. But this grilled version with dill has my mouth watering! Yummy! 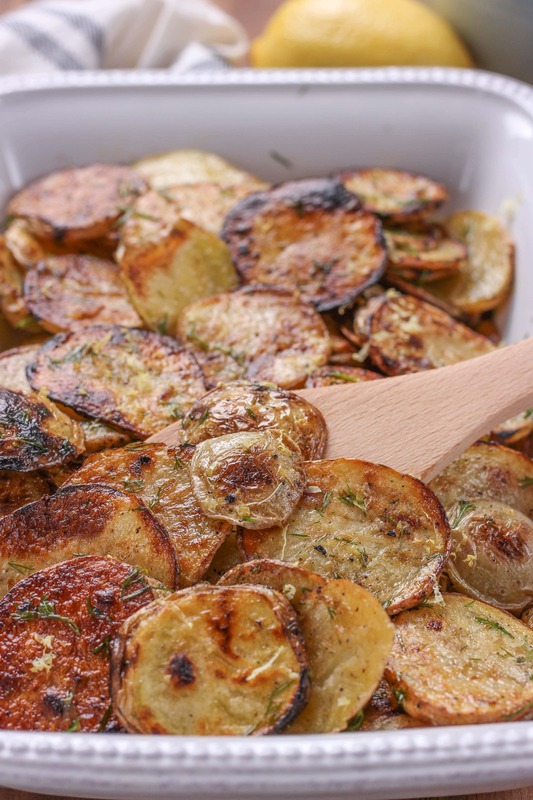 Absolutely love the golden crust you’ve achieved on these potatoes! Yum! What a great twist on the usual potato salad. I love that it’s mayo free and full of dill. Dill is my favorite herb! i bet this will be a showstopper at a party! These look and sound so tasty! Love the lemon and dill flavours and that it’s grilled – a real twist on the potato salad I am used to! I have to try this recipe! It sounds incredible!